Ashmir Mohammad grew up in a Muslim family in Trinidad, and as a young man turned to drugs and alcohol. But that isn’t the end of the story. Ashmir Mohammad grew up in a Muslim family in St. Augustine, Trinidad. As a young adult, Ashmir was consumed with worldly pursuits and brokenness, struggling with drug and alcohol addiction and feeling a consuming sensation of emptiness. When he realized he was hopeless and helpless, his brother-in-law shared with him the truth of Jesus Christ. Now, Ashmir ministers to others like him using his spiritual gift of evangelism, and is seeking to serve in full-time ministry. Trinidad and Tobago are increasingly home to more and more Muslim and Hindu populations in need of the gospel. 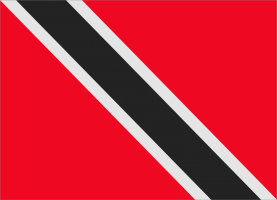 While the people of Trinidad and Tobago are very religious in thought, substance abuse and addiction runs rampant on the island. Because of this, families are often unstable and there is a high level of crime. Our hope is to transform the culture by reaching the future generations before they get indoctrinated by this broken society. "Don’t do what I did and wait until you’re old and dying. Follow Jesus now." A quick phone call was the culmination of years of prayer.